Without a doubt one of the most carefree, long-blooming perennials around. 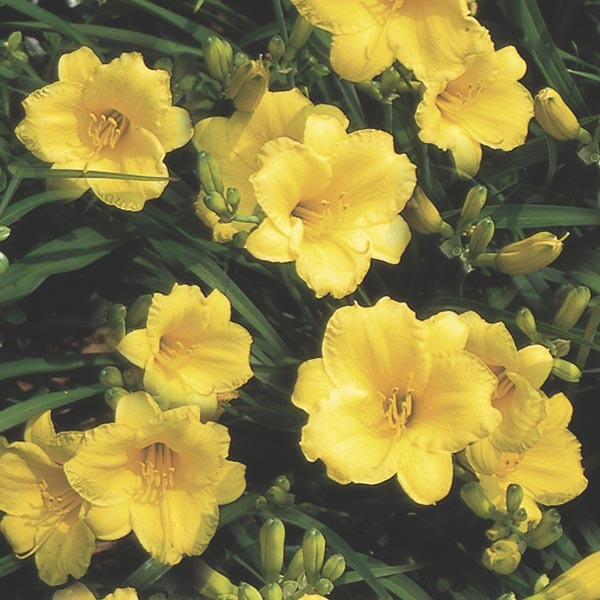 The golden yellow trumpet-shaped blooms appear in early summer and continue right up to frost. This is a rugged plant, well-suited to hot, dry locations where other plants would fail. Also appropriate in high traffic areas along walks or along the edge between the lawn and garden border. The loose, grassy foliage moves easily to resist damage if bumped or stepped on. Excellent for borders, rock gardens, or mass plantings. Combines beautifully with small ornamental grasses. Plant in drifts or bands for best effect. Very easy to grow in virtually any location. Plant in fertile, well-drained soil. Keep soil moist, watering freely in dry weather. Remove faded flowers for best display.